Advantech assisted Tianjin GOOD MOLD Technology Co., Ltd. in upgrading its CNC flexible manufacturing system so that a single control platform could be used to operate manufacturing execution system (MES) and CODESYS real-time control software. Through the utilization of CPU split-core optimization technology, this cross-layer information technology/operational technology (IT/OT) integration enabled the stable operation of motion control and information systems while reducing processing error rates and tripling production efficiency. Furthermore, through implementing edge computing, the customer was able to identify flexible manufacturing and CNC intelligent business opportunities. With shorter product development cycles, marketing forecasting and production planning have become even more critical in today’s highly competitive CNC machining industries. In this regard, CNC machining factories require such IT systems as enterprise resource planning systems for production planning optimization and operational control. The type of MES that used to be responsible for production management no longer simply plays a supporting role at the OT layer. Conventionally, these two systems would operate independently and rarely communicate directly with each other. However, they have become crucial to deriving CNC intelligence and realizing intelligent factories and have become a hub that connects the IT and OT layers in CNC production lines. 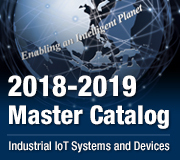 MES developers can incorporate industrial PCs (IPCs) and PLCs into CNC production lines as a bridge to link heterogeneous systems. However, such a traditional approach is effective only for transmitting simple signals; moreover, there is no foolproof mechanism, it is inefficient, and labor costs are high due to having to rely on manual operation. For 2D barcodes and other more complex data types, this approach also introduces problems with poor interface integration and decoding performance. Additionally, although system developers are often familiar with IT, their understanding of automatic control systems tends to be limited. Therefore, determining how to efficiently connect the IT and OT layers is a major challenge for some system developers. As an x86-based open split-core control platform that can simultaneously run real-time kernel CODESYS and Windows, Advantech’s APAX-5580 allows for IT and OT systems to be highly integrated while ensuring system stability and high performance. Combined with APAX-5000 series of local and remote I/O products, this unit not only provides flexibility regarding the deployment of communication interfaces for CNC production lines, but it also simplifies future expansion. In this project, Tianjin GOOD MOLD Technology was able to achieve remote control and unified management of CNC production lines via a single control platform that integrated its MES and electrical discharge machining (EDM) machines. Tianjin GOOD MOLD Technology is a system integrator that provides information management software and automated factory solutions for the CNC machining and mold industry. In line with the Industry 4.0 trend, the company was planning to incorporate an electrode management system into its MES in order to manage the tool-electrodes of EDM machines. The purpose was to link data with the information system at the upper-management level. By integrating the IT and OT layers, the company expected to improve its productivity. The electrode management system comprised CNC machines and electrode tool libraries comprising 144 tools (specifically, 24 tools in six layers). The bottom of each tool was labelled with a 2D barcode for identification so that the CNC machines could be fitted with the correct tools under instruction from the MES. Initially, the company chose to add a Japanese PLC with a servo drive controller on each unit (i.e., one per CNC machine and electrode tool library) and to install an IPC at the upper level. This was found to be inefficient for dealing with the many barcodes. Furthermore, acquiring the signal data was difficult, the cost was high, and real-time technical support was not available from the hardware suppliers. Consequently, the company sought a more suitable high-performance control core system. In addition to being set as the MES client node, the new control core solution had to be capable of automatically selecting tool-electrodes under instruction from the MES. Because each unit was up to tens of meters from each other, the new solution had to allow for remote control of these units from a central control room. Furthermore, the software had to provide high-level language support to aid programmers and accelerate the completion of the program design. For the control aspect, the project required a considerable number of digital inputs and outputs and protocol conversion functionality so that 2D barcode scans could be transmitted to the MES. Finally, EtherCAT support was necessary so that pulse conversion modules could be connected to drive the stepper motors to rotate and position the tool libraries. Advantech’s APAX-5580 was employed as the system control core to connect the IT and OT layers. As an MES client, the APAX-5580 was used to transmit data from low-level devices to the MES in the central control room and to receive instructions from the MES to control the CNC router and electrode tool library during machining. 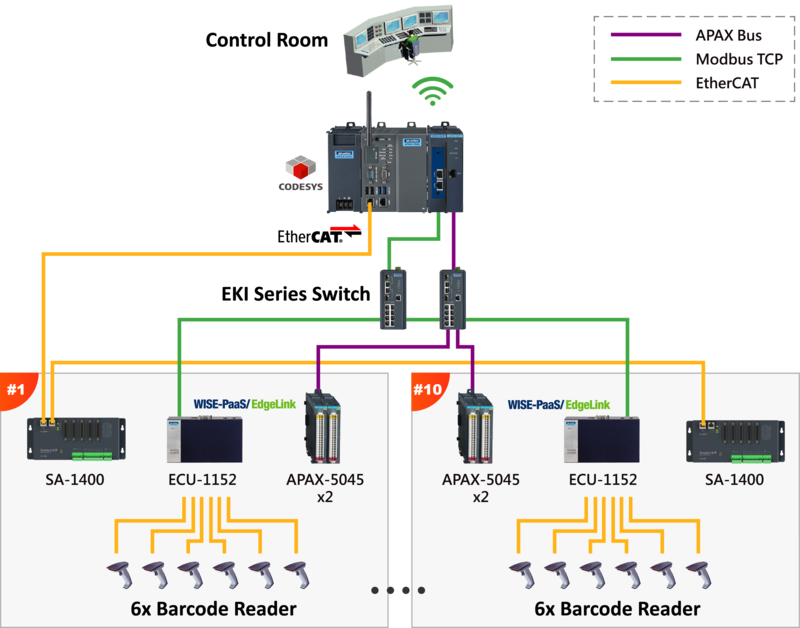 The APAX-5580 was connected to ECU-1152 intelligent gateways via Modbus/TCP and third-party pulse conversion modules via EtherCAT, thus enabling the uploading of barcode data and the management of multiple EDM machines. The unique dual-core processor and split-core optimization mechanism of the APAX-5580 are what allowed it to seamlessly integrate the IT and OT layers. With one core dedicated to the Windows Embedded Standard 7 OS to ensure that the MES client node can successfully link with the IT layer, the other core is able to handle motion, logic, and bus control to ensure responsiveness and stability in the OT layer. Furthermore, having the hardware and software integrated in a single platform makes the system structure simple and ensures that maintenance will be convenient, and its unique modular design allows for upscaling or adjustment without needing to replace the control core. 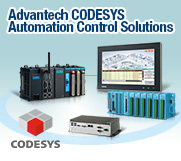 For IT engineers who might not be proficient in using the PLC language to write automated motion control and logic control programs, CODESYS supports structured text, thus accommodating a higher level programming language they are already familiar with. This system design, coupled with Advantech’s high-quality technical support services, markedly reduced Tianjin GOOD MOLD Technology’s development time and accelerated their time to market. Another reason that the APAX-5580 was selected is that it can be expanded to provide control both locally and remotely, meaning that the units were able to be deployed near where the CNC machines were actually installed (this applies to all APAX-5000 series I/O modules). The module can also be used for networks with a linear topology (for large CNC production lines) or a star topology (to ensure that units are not affected ion the event of a problem with any one of them). Finally, the ECU-1152 units were selected because they feature six RS-232 isolated serial ports, allowing for multiple connections to the many 2D barcode scanners. With embedded WebAccess/TagLink software, data were able to be easily converted from RS-232 to Modbus for transmission to the upper-level APAX-5580 via Internet. CNC machining factories in particular have been falling in line with the Industry 4.0 trend with their upgrading to intelligent factories. 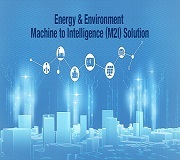 To achieve the goal of CNC intelligence, their manufacturing elements must be fully connected in order to realize complete workflow optimization. However, integrating the IT and OT layers should be their top priority. If system integrators continue to focus on the traditional approach to PLC control in providing solutions to manufacturers, they will face many challenges in the development process. This is especially pertinent given the difficulty already involved in developing a system to Industry 4.0 standards and improving a customer’s time-to-market. 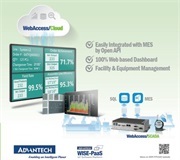 Advantech has a comprehensive range of product lines and can thus meet various hardware and software requirements. Moreover, the high performance of our products ensures system reliability. Being easy to integrate and having a clear structure enables system integrators to quickly formulate an appropriate solution that will be simple to maintain in the future. 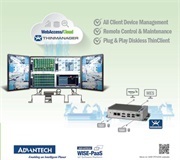 For IT developers who do not have an in-depth understanding of automation control systems, Advantech possesses ample experience in industrial control and can offer professional planning advice and technical support for OT layer development, thus ensuring that hardware/software integration can proceed according to the end user’s expected outcomes. After Advantech's total control core solution was implemented, the integration of Tianjin GOOD MOLD Technology’s IT and OT layers reduced EDM machine repair rates to 30%, shortened machining times from 24 to 3 hours, tripled production efficiency, and reduced human resource costs by 70%. Given the popularity of this system in the market, Tianjin GOOD MOLD Technology plans to use its core architecture as a basis for linking other production line systems or copying it to CNC machine control systems after fine-tuning. The company hopes to make CNC machining equipment, storage device devices, and computer control systems that make flexible manufacturing systems more intelligent, so as to accelerate the digitalization of CNC machining factories and truly implement flexible production lines.